If you still have not settled on a New Year’s resolution for 2017, you may want to consider making this the year to take your practice, law department, or firm paperless. The benefits of ditching your dependence on paper are many, and the obstacles have dwindled to a surprisingly surmountable few. So, if you are thinking of making the move, here are few quick tips for getting started. Over the years, the content of clients’ matter files has changed from primarily paper to digital. Even so, many organizations have not fully adapted their record-keeping practices to reflect this reality. For many, files have become a mix of paper and digital records, with neither alone telling the full story. Of course, lawyers and firms need access to complete matter files to answer clients’ questions quickly and accurately and perform their work properly; when matters close, lawyers must secure, preserve, and sometimes transfer accurate files. The obvious solution is to create and maintain one complete record of every matter, and doing so digitally makes sense given that most documents start out that way. Going with the digital brings many benefits, including providing remote and multiple access, eliminating redundant tasks (like printing and filing paper copies of digital content), reducing risk, freeing space, and decreasing physical storage and labor costs. The concept of a paperless office means different things to different organizations. For many, if not most, it does not mean purging all paper once and for all. Rather, it more likely means instituting a policy or practice of creating, storing, backing-up, and retaining operational and client files in digital format only. At least for the near future, many people will continue to find reading, revising, and proofreading content easier and more effective on paper, rather than on screen. Some will also prefer printing material to read while commuting, in meetings, or in other places where computer access is inconvenient, uncomfortable or unavailable. While paper continues to be a reality (and an expense, albeit a much lower one) in many paperless offices, the difference is that paper becomes a temporary convenience that is destroyed as soon as no longer needed. 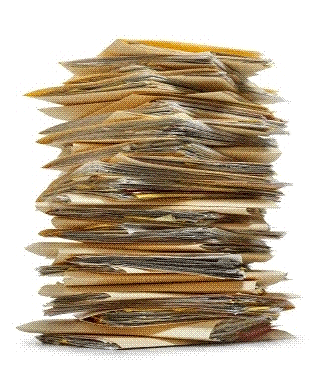 So, when taking an office or department paperless, decide how much paper you will continue to support. Weaning people off paper can take time and making clear from the outset that paperless will not mean no paper goes a long way to assuage fear; however, being too permissive can cut into the benefits. For instance, continuing to file both digital content and multiple paper copies and sending hard copies of digitally stored material to and from off-site storage facilities wastes time and money. But, treating paper as a temporary convenience can strike a good balance. You will also want to make sure your practice is ready to shift to completely digital records; this will help you select a realistic target date and identify the processes, applications and hardware you may need to put in place beforehand. Make certain the office has an effective solution for converting the few materials still received (the occasional posted letter or fax) or created (handwritten notes and marked-up documents) in non-digital format to digital. Depending on the size of the office, this could mean investing in or retooling centralized scanning services, multifunctional scan/print/copy devices at assistants’ work stations, or portable hand-held devices. Consider how the office will ensure relevant voice-mail, any hard documents that must be kept, and physical objects are connected to the digital record. To ensure that finding material in digital files will be as easy, and ideally far easier, than in paper files, make certain that digital files have been well-maintained and organized. In firms and law departments that have invested in a document management system, particularly one designed around clients and matters, digital files probably have a structure similar to or better than paper files that most people already are accustomed to; even without a document management system, most offices will have developed a system for organizing and sharing matter files on their network. However, keep in mind that everyone may not have been equally vigilant about moving relevant email into the proper place or refraining from saving documents locally. Taking time to review and fine-tune your structure and ensure everyone is following established practices before transitioning to a paperless office is prudent. If you have invested in advanced search technology, finding anything digitally should be much faster than even the most meticulously kept paper system; however, depending on your office’s uptake of your search engine, you may want to spend some time refreshing and upgrading people’s search skills. Your planning process will also involve researching or updating research on your legal, professional, and ethical requirements for maintaining client matter files. In many jurisdictions, nearly every document in a lawyer’s file now may be kept in digital, rather than paper, format. However, each jurisdiction is different, so legislation governing evidence, electronic records, lawyers, and the specific areas of law practiced, as well as bar and law society regulations, must all be researched carefully. In some jurisdictions, original hard copies may be required in specific circumstances and for other scenarios no clear answer may exist. For instance, gray areas may surface for environmental, real estate, trusts and estates, and tax matters. When considering what, if any, material must be retained in hard copy, be careful to distinguish between what lawyers are required to keep as part of the file and what lawyers traditionally have kept as a service to their clients. Each organization will decide for itself how much – or if – it will choose to retain as an added service beyond what it must. And, even if no longer required by legislation or professional regulations, the firm may have agreed to preserve certain materials for clients either expressly or by implication; so, before destroying those hard copies, the clients’ agreement would likely be needed. how and by whom gray areas in the law will be addressed. Depending on the size of your organization, change management may be your biggest challenge. In larger organizations, you are likely to encounter a mix of people who have been operating paperlessly for years (and wondering when management would catch up) and people who remain quite comfortable working amidst tottering paper towers. Identify and start working with both groups early and throughout the project. The former will be your champions and, as with any project involving behavioral change, will be critical to your success, supplying you with their own best practices and providing practical counter-arguments to the skeptics’ objections. Your early adopters’ practical success stories about how they are working more efficiently and effectively, with reduced risk and stress and more satisfied clients, will speak far louder than the theoretical business case. Anticipate and be prepared to counter inevitable objections from those who remain wedded to paper. One of the most common concerns will likely be access to documents if the system goes down. Surprisingly, people seem to forget about all of the access issues – much more common than a system failure – associated with paper in the case of, for instance, fire, flood, blizzards and other emergencies that can keep us physically separated from our paper. In all of these cases, we would likely have remote access to our digital files and no access to our paper. Undeniably, systems do go down preventing access to digital content. However, these tend to be infrequent, of relatively short duration, and mildly disruptive. And, most organizations have set up their systems to reduce and mitigate this risk. As we depend less and less on paper in our working environments, it seems inevitable that we will all go paperless at some point. Yet, until paper truly becomes a thing of the past, there will be those who object, focusing on the risks associated with the unknown. For me the most compelling argument for going paperless came in the form of a New York Times photograph of confidential papers strewn across a city street that ran under the headline, “Fire at Brooklyn Warehouse Puts Private Lives on Display.” It serves to remind us that even what is known and familiar has its risks – we have just learned to live with them.